Spacious, shady, and simple our canopies provide cover from rain and sun. Great to bring to the beach or to use outback while cooking out. With its 10 foot length and width 6 people can fit comfortably under the canopy. 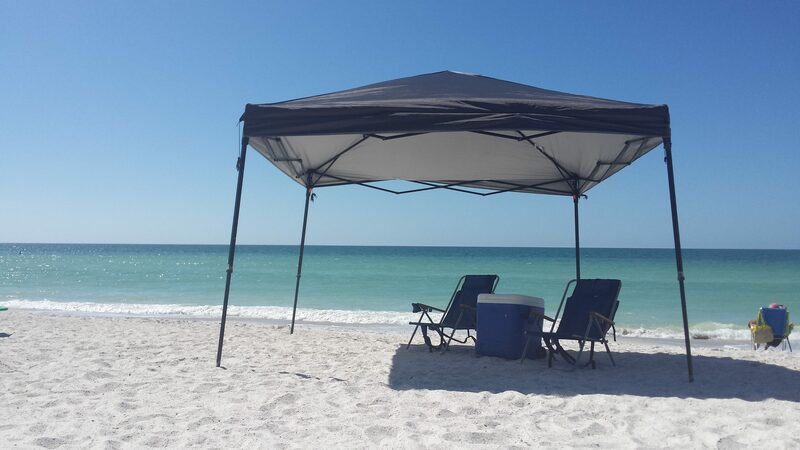 When you rent one of our canopies you get to a $25.00 credit to use towards anything in our inventory. Paddleboards, Kayaks, boogie boards, make it a beach day! Need just 1 extra towel to bring to the beach or for around the pool? Rent one from us and you are good to go!